Feminine and elegant, fresh yet sensuous and always uplifting, floral scents are simply timeless and the secret to feeling Fantastic this summer! From the irresistible blend of subtly intoxicating orchids and sweet powdery, woody violas; to the unexpected fusion of crisp red poppies, bursting with brightness and cheerfulness and the soft, dewy sweetness of bluebells, the new Fa Floral Protect presents a collection of carefully-crafted, irresistible floral scents that you'll love to wear all summer long! 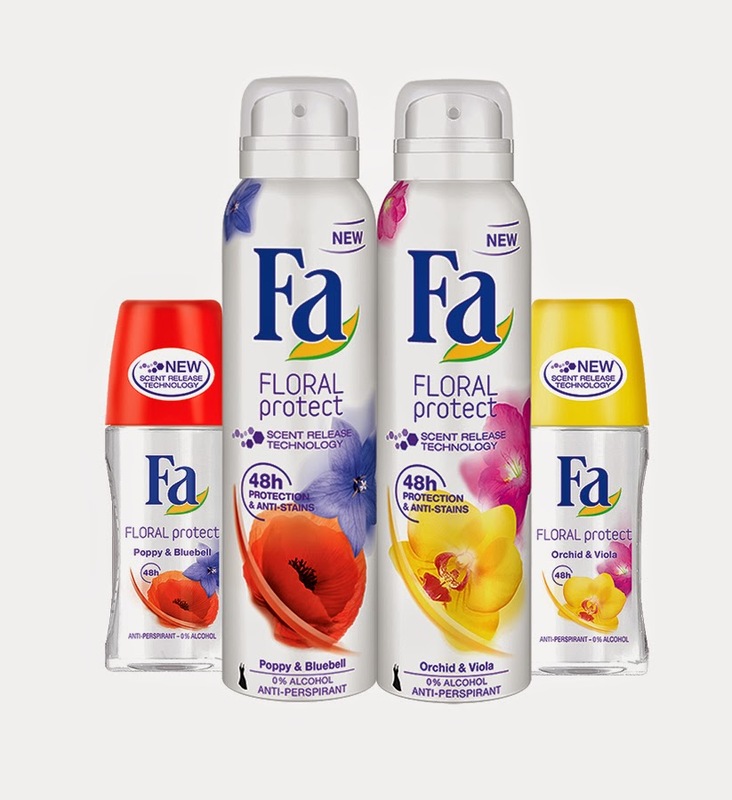 Though delicately scented, the new Fa Floral Protect range benefits from a cutting-edge fragrance activation technology, so that you can count on 48-hour protection against pesky problems such as perspiration or body odor, most women struggle with in this region, especially in the sweltering heat of summer. Whilst the scent in regular deodorant sprays and roll-ons fades rather quickly on the skin after application, the new fragrance activation technology in the Fa Floral Protect captures the scent in tiny particles and ensures that the fragrance molecules adhere to the skin.The result is a long-lasting fragrance that makes you feel protected, confident and fabulous. What's more, you can now say good bye to embarrassing white marks or stains on your clothes after application Floral Protect uses Fa's latest anti-stain technology, a new patent-pending formula that replaces the powder base used in the conventional anti-perspirant with a liquid emulsion formula.A first in the market! With it's distinctly bright, sweet and fruity notes, optimistic tone and 48 hours of floral fabulous protection, the Fa Floral Protect range is the perfect scent for the summer days and nights ahead!